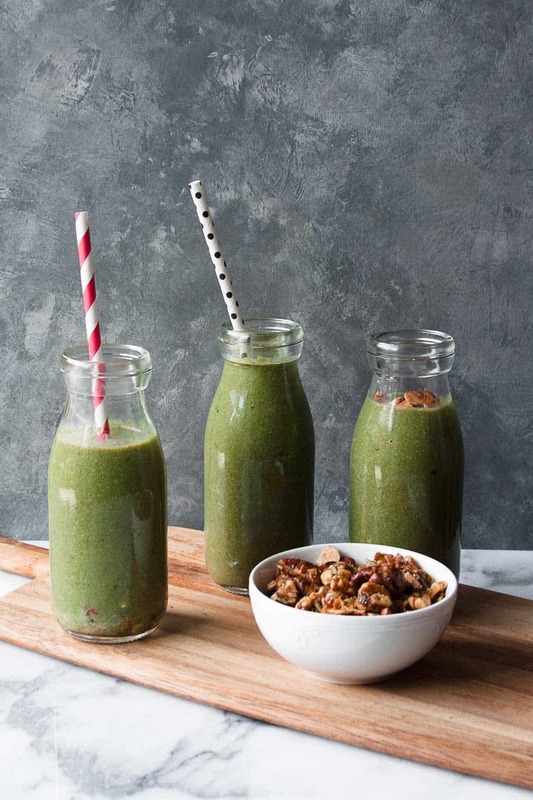 The key to make the best dairy free creamy green smoothie is simple, add grain free granola into the blender! Like adding nut butter, but better! I’ve been on a serious smoothie kick. Probably because it’s summer and I love eating something ice cold when it’s hot out. 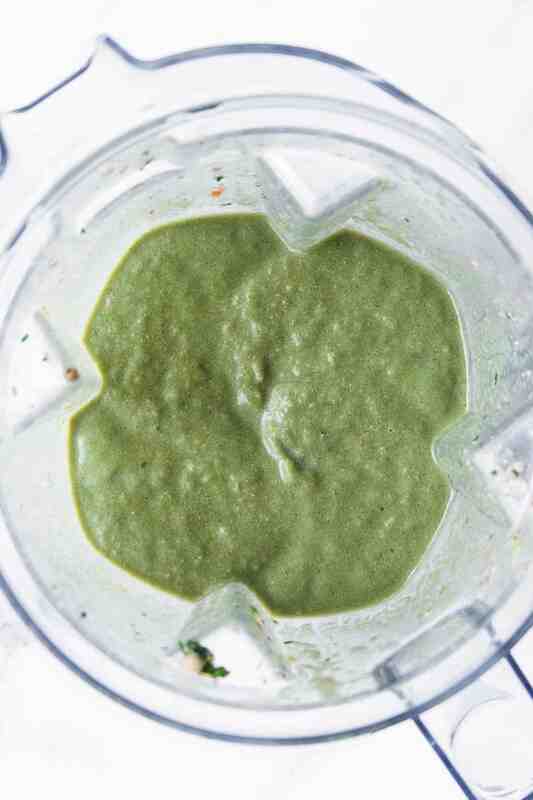 But also because I recently cracked the code on how to make a creamy green smoothie without dairy. YOU HEARD ME RIGHT! No diary, supa thick, and oh so creamy. You know you want it! Now I know you’re probably used to adding granola to the top of your smoothies, right? Yea me too… until one of my Instagram followers suggested I add it right into the blender. As soon as I tried this, I regretted every other smoothie I have eaten without granola. Why haven’t I tried this sooner?! 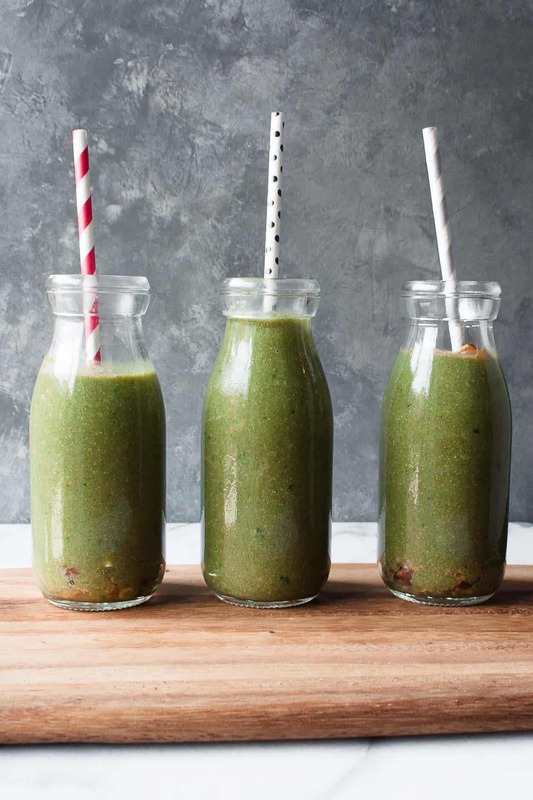 I usually add some nut butter into smoothies to increase the fat content (which helps keep me full and satisfied) and add some creaminess, and this does essentially the same thing – but better! 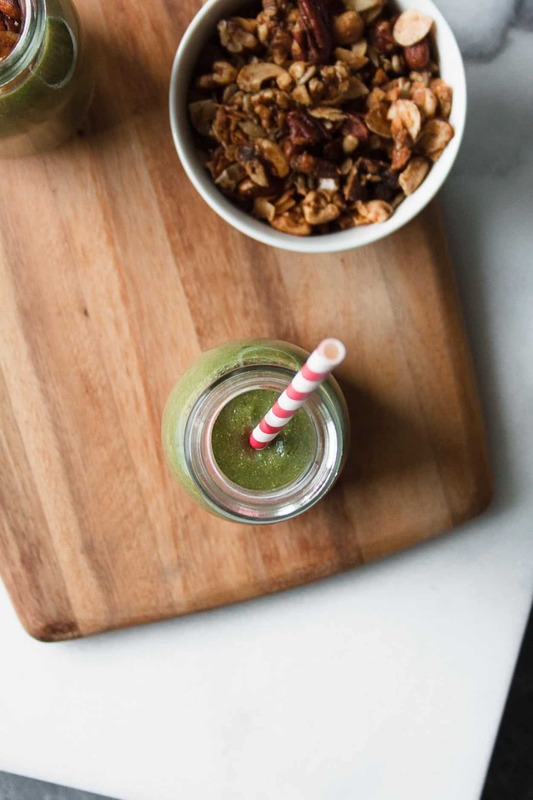 My grain free granola is an addictively delicious mix of nuts and seeds – almonds, cashews, walnuts, pecans, coconut flakes, and sunflower seeds coated in a little maple syrup – that will bring your smoothie up an extra level. 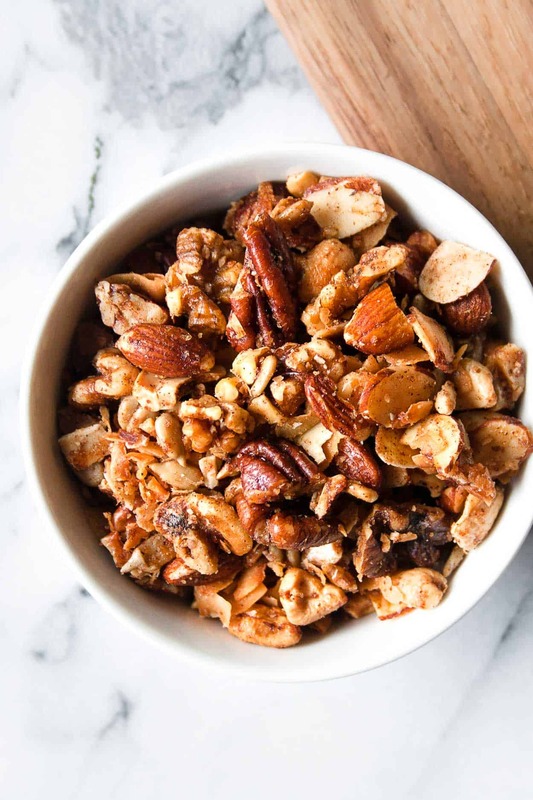 AND if you want to try out my granola in this recipe, or try it on your salmon or ice cream (OMG it’s AMAZING on ice cream! ), sign up here to receive a discount code for your first order! When you make this Creamy Green Smoothie, post a picture on social media and use the hashtag #imhungrybynature for a chance to be featured! Make sure you pin this recipe for later!